Y&L believes in the power of strong technology alliances. Partnerships allow us to not only stay informed of new features and releases but also remain connected to experts who can provide training and advice. At Y&L Consulting, we closely monitor the technology trends through our close association with best in class research organizations such as Gartner, Forester, IDC, CIO etc. Based on the needs of our customers and prospects tied to industry adoption of these technologies, we create focused practice areas within Y&L Consulting to support them. These practice groups drive the need to form alliances with industry leading technology firms such as Microsoft, IBM, CISCO, SAP, Oracle and several others. Y&L Consulting not only invests in building capabilities within specific technologies of our partners, but also prepares our professionals through training and certification to ensure the highest quality of resources are available for client engagements. Over the years, Y&L Consulting has developed alliances with SAP, IBM, Oracle, Microsoft, CISCO, CITRIX, Tableau, Actuate, Salesforce, CA and grown them to reach Gold, Platinum or Premier partnership levels to establish centers of excellence (COEs) by using respective technologies. Being a partner of choice and reaching highest levels of partnership with these companies, allows Y&L Consulting access to the latest software, training and proficiency which eventually translates as tangible business value to our customers. Kony EMM is a mobility solution that organizations can use to provision, update and monitor mobile devices and mobile apps; including data and content from one console. Kony’s technology creates exceptional user experiences that boost productivity, loyalty and convenience, regardless of device or operating system. HelpSystems aligns IT and business goals to help organizations build a competitive edge. Our software secures IT environments, monitors and automates processes, and provides easy access to the information people need. More than 15,000 organizations in 100+ countries rely on HelpSystems to make IT lives easier and keep business running smoothly. HelpSystems has partnered with Y&L to utilize its Automate RPA software. As the world’s leading provider of business software, SAP delivers products and services that help accelerate business innovation. Today, more than 47,800 customers in more than 120 countries run SAP applications – from distinct solutions addressing the needs of small businesses and midsize companies to suite offerings for global organizations. Y&L Consulting has several strategic alliances with SAP including Run SAP Partnership, SAP Gold Channel Partnership in several geographies, Service Partner and SAP Education Partnership (India). We are a preferred vendor for SAP Labs, SAP Hosting, a Co-development Partner and are also member of SAP Consulting Partner Program. With more than 420,000 customers and deployments in more than 145 countries, Oracle offers a comprehensive and fully integrated stack of cloud applications, platform services, and engineered systems. Our alliance with Oracle spans more than 2 decades and we are not only Gold Partner Worldwide, but also a Reseller and Consulting Partner. By attaining Gold Level membership, Oracle has recognized Y&L Consulting for its commitment to establish Oracle related knowledge in implementing Oracle applications, and for uniquely addressing the challenges of joint customers.  Y&L Consulting is one of the few partners specializing in JD Edwards and SAP integration skills, besides capabilities in E-business Suite. Y&L Consulting provides Microsoft services using certified technical consultants in Application Development, Integration, Collaboration, Content, Mobility, Dynamics and Office to its customers. The Application development competency helps Y&L Consulting in gaining proficiency in Microsoft Products (Azure, Visual Studio, Windows Server etc.) as also access to over 100 Microsoft Innovation Centers worldwide to help accelerate technology advances adoption for the customers. The Collaboration and Content Competency establishes our capability to delivery high quality solutions using MS SharePoint and associated products. A unique blend Y&L Consulting offers Microsoft Mobility using SharePoint for collaboration and integrating it with SAP based backend applications. Application development and Midmarket Solution Provider competencies, help our technical teams to offer solutions on Microsoft .NET framework using Azure for cloud based implementations and Windows Server clubbed with BizTalk Server for on premise implementations. As a YASH Technologies company, we have been certified by Microsoft as a Gold Cloud Platform partner, Gold Cloud Productivity partner, Gold Datacenter partner, Gold Application Development partner, Silver Data Platform partner, Silver Collaboration & Content partner, and Silver Cloud & Midmarket Cloud Solutions partner. IBM is a globally integrated technology and consulting company with operations in more than 170 countries. IBM has the world’s most comprehensive portfolio of data and analytics capabilities in the market. We are also one of the handful partners certified as Primary Support Provider in IBM Cognos and Premier Partnership worldwide. We are part of a select group of elite Premier Business Partners who can sell and service across all IBM software brands, which allows us to deliver comprehensive, industry-focused and business-aligned solutions. 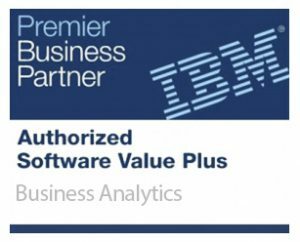 We are a certified Software Value Plus solution provider for IBM Cognos Business Intelligence and Financial Performance Management suite of products. From Executive Dashboards to Ad-Hoc reports, Tableau lets you share mobile and browser based, interactive analytics in a few clicks. More than 10,000 organizations rely on Tableau, from world’s largest enterprises and governments to mid-sized and small businesses, web-publishers, schools and non-profits. As a Tableau’s Alliance partner, Y&L Consulting helps customers choose the right software and services for their BI needs. Our certified experts have experience implementing Tableau and leverage their diverse backgrounds to help customers put in place and support the right BI solution. Cisco designs and sells broad lines of products, provides services and delivers integrated solutions to develop and connect net Cisco designs and sells broad lines of products, provides services and delivers integrated solutions to develop and connect networks around the world, building the Internet. Over the last 30 plus years, CISCO has been the world’s leader in connecting people, things and technologies – to each other and to the Internet – realizing vision of changing the way the world works, lives, plays and learns. Y&L Consulting is a CISCO Select Certified Partner worldwide. Cisco Select Certification recognizes and rewards partners that have achieved a Cisco Specialization. Cisco Select reflects a partner’s technological and business expertise in a specific Cisco Technology. Y&L Consulting’s Infrastructure Management Services group specializes in the delivery of CISCO based networking solutions. Qlik® delivers intuitive platform solutions for self-service data visualization, guided analytics applications, embedded analytics and reporting to approximately 35,000 customers worldwide. Companies of all sizes, across all industries and geographies, use Qlik solutions to visualize and explore information, generate insight and make better decisions. Y&L Consulting uniquely provides Qlik BI and reporting solutions for real time data visualization to SAP, Oracle and Microsoft customers. Being an SAP partner for HANA, Y&L Consulting can provide best of breed Analytics recommendations to its clients. Y&L Consulting’s BI practice specializes in Qlik applications and skilled, certified resources, who have experience in providing Qlik solutions to large and medium enterprises. As APN Consulting Partner, Y&L Consulting helps customers of all sizes design, architect, build, migrate, and manage their workloads and applications on AWS. Y&L’s subject matter experts, software-enabled services and cutting-edge solutions provide companies with tested, proven, and trusted solutions, allowing them to fully leverage the power of the public cloud. The AWS Competency Program is designed to provide AWS Customers with top quality APN Partners who have demonstrated technical proficiency and proven success in specialized solutions areas. Partners who’ve attained an AWS Competency offer a variety of services, software, and solutions on the AWS Cloud. AWS offers a reliable and secure cloud infrastructure platform that enables businesses to quickly deploy SAP Solutions in the cloud. As a premier SAP Competency Partner Y&L Consulting helps customers implement, migrate, and manage SAP applications running on the AWS Cloud. Canon Information and Imaging Solutions, Inc.(CIIS), a wholly-owned subsidiary of Canon U.S.A., Inc., was formed to harness the power of two of Canon’s greatest intangible assets: In-depth knowledge of information flow and the best imaging technology. Utilizing Canon’s vast collection of imaging technology and development tools along with select third-party enterprise applications, CIIS will deliver compelling market-driven solutions in the area of cloud computing and business process integration. CIIS’s new SOA-based imaging platform called as Enterprise Imaging Platform (EIP), will empower organizations to cost-effectively streamline the business processes and document/image management capabilities. Y&L Consulting is one of a handful of partners that deploy the Enterprise Imaging Platform (EIP) solution in the US market. Worksoft Inc. offers software that helps organizations to automate their business processes and innovations. Worksoft for high speed process discovery and functional testing of digital, web, cloud, mobile, big data, and dozens of enterprise applications, including SAP®, Oracle, and Salesforce.com. As a Solution Provider Partner, Y&L Consulting helps organizations handle the dynamic nature of business processes using the automation technology and transform the solution testing for quick deployment into the market.Y&L Consulting’s focus simplifies the business processes in a cost effective, certified manner while bolstering overall testing and automation ROI. The partnership between Y&L Consulting and Worksoft is designed to deliver immediate value for clients looking to automate business process validation for enterprise solutions.